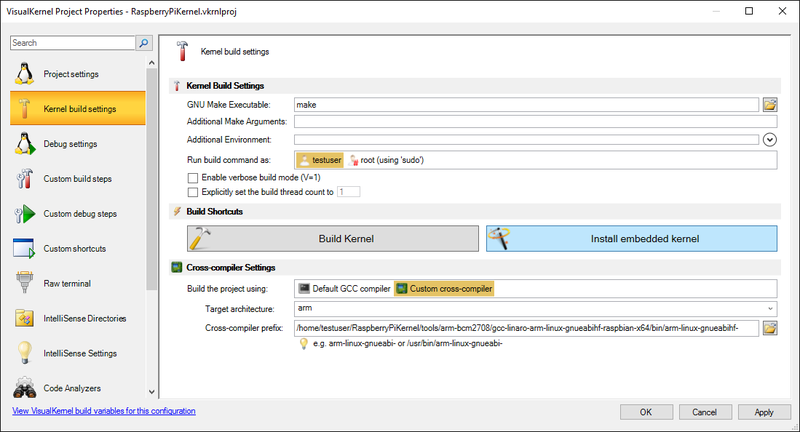 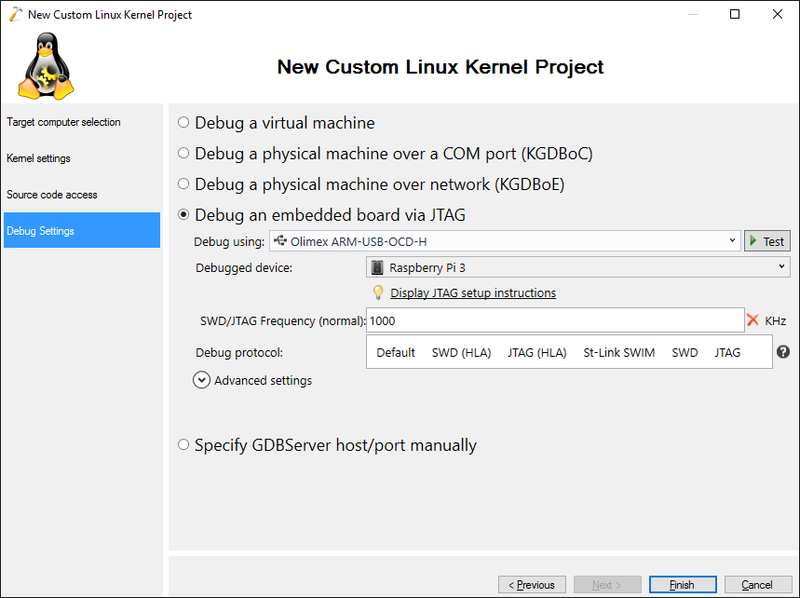 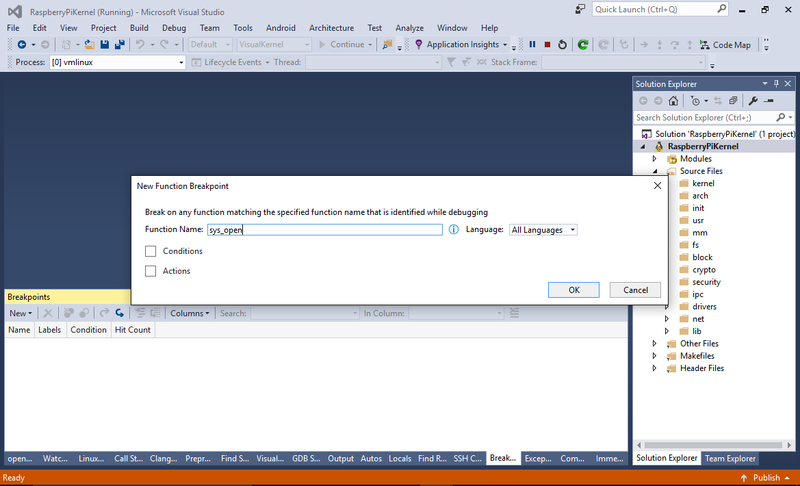 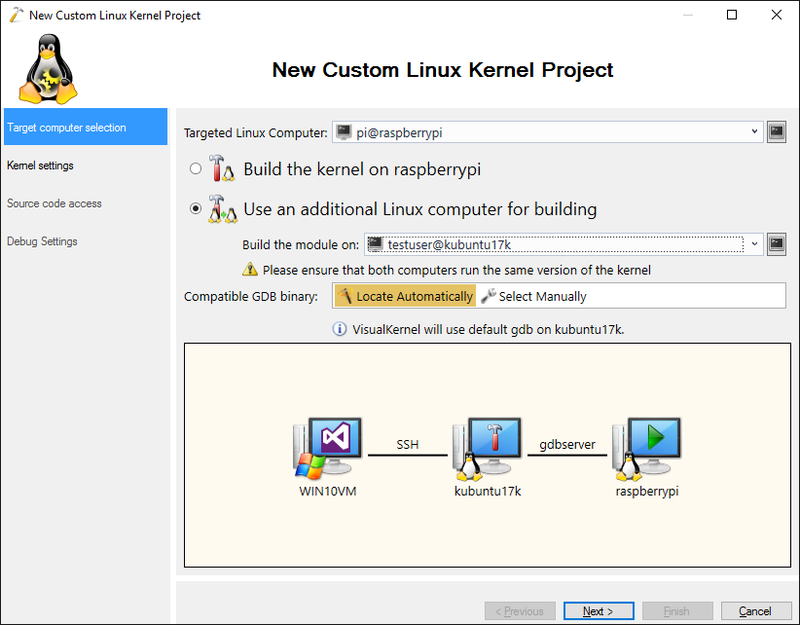 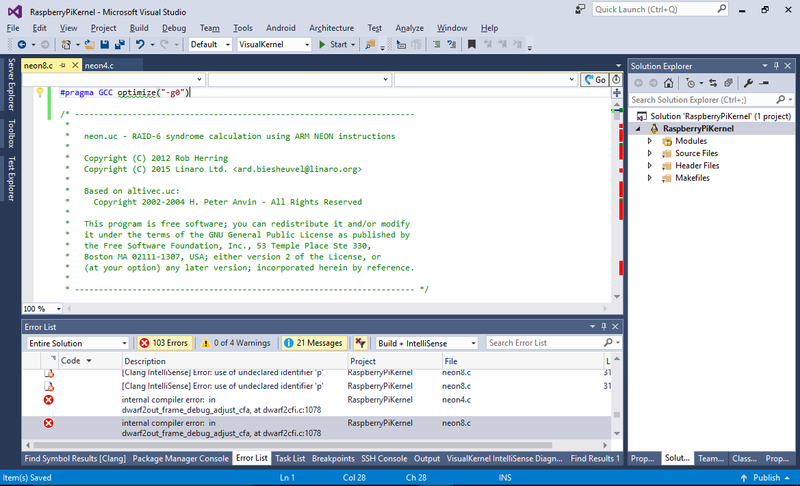 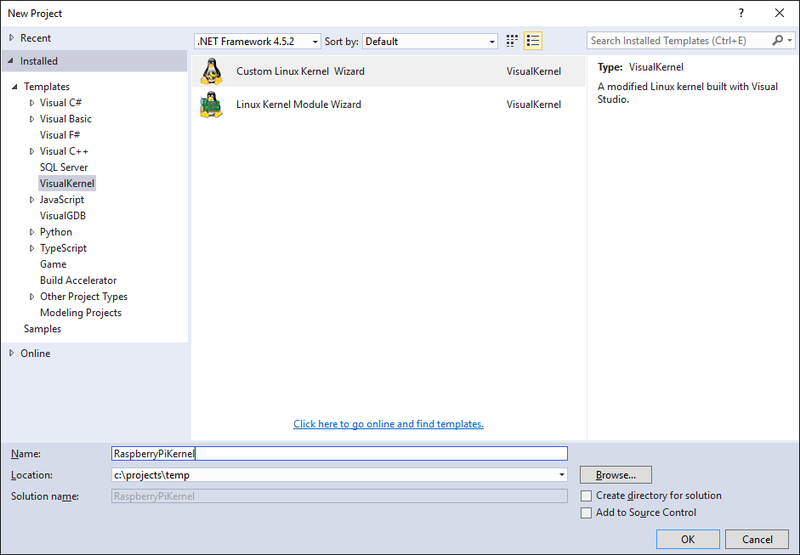 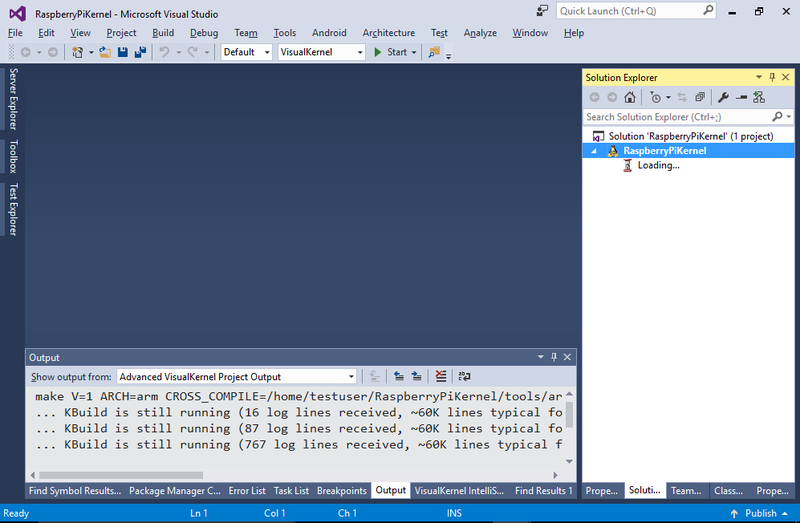 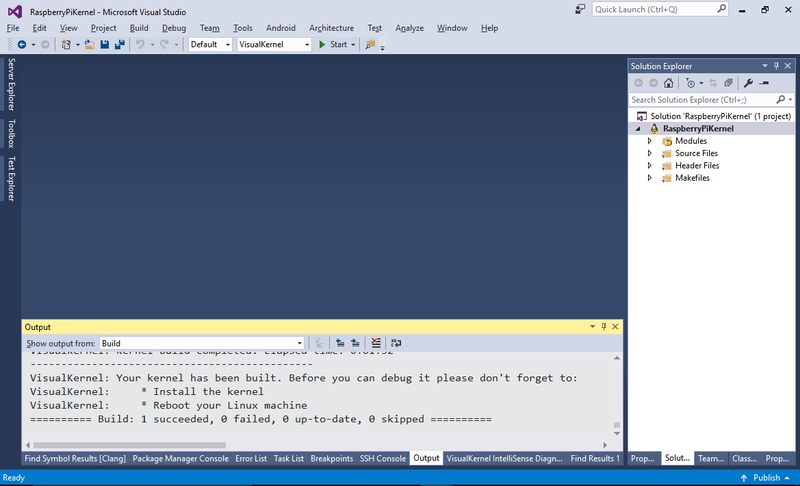 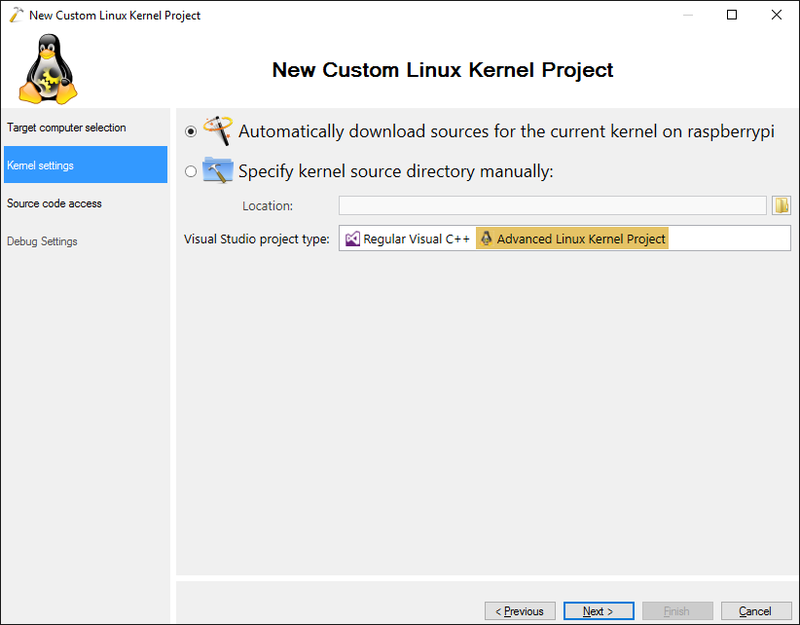 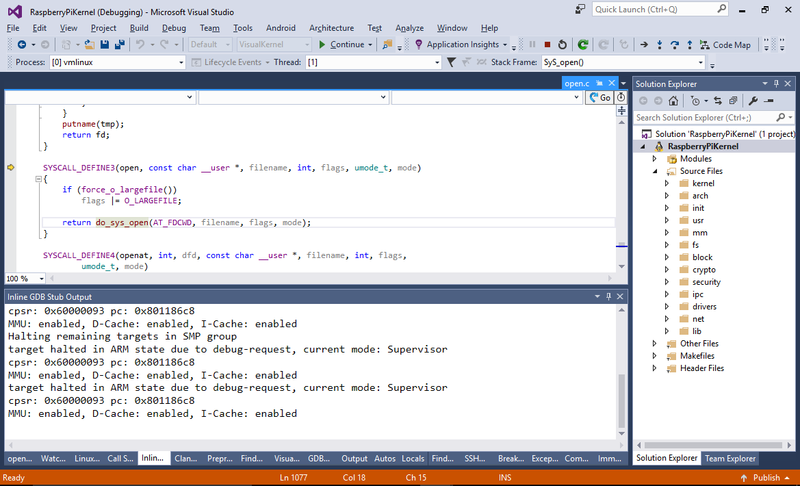 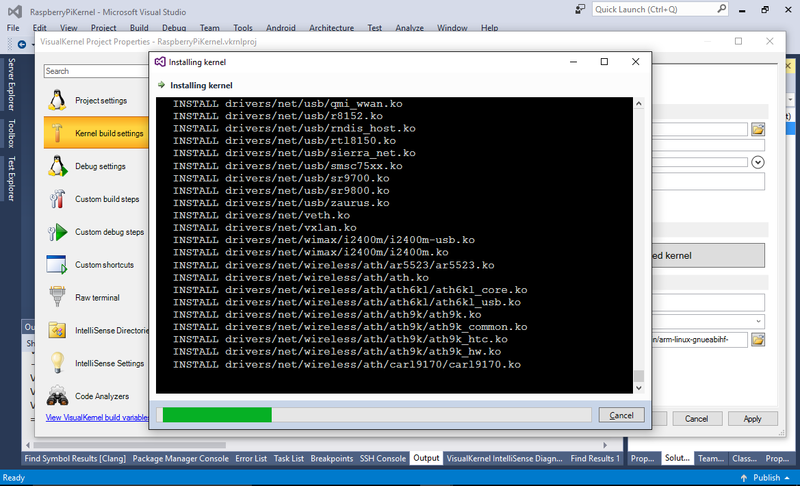 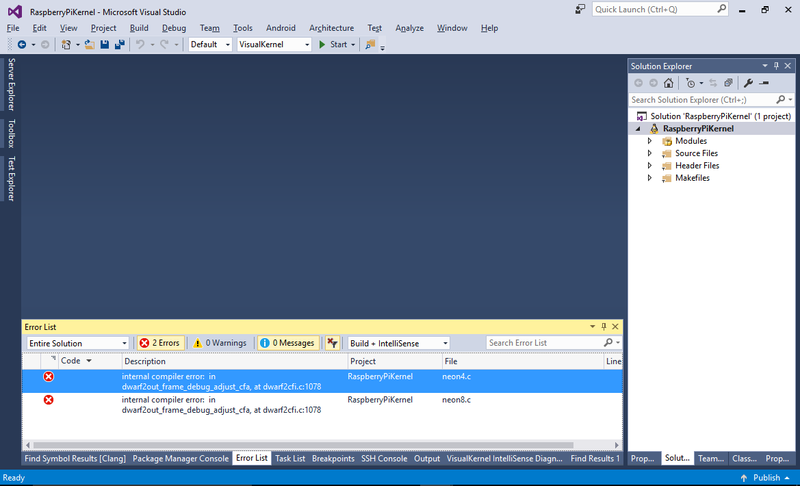 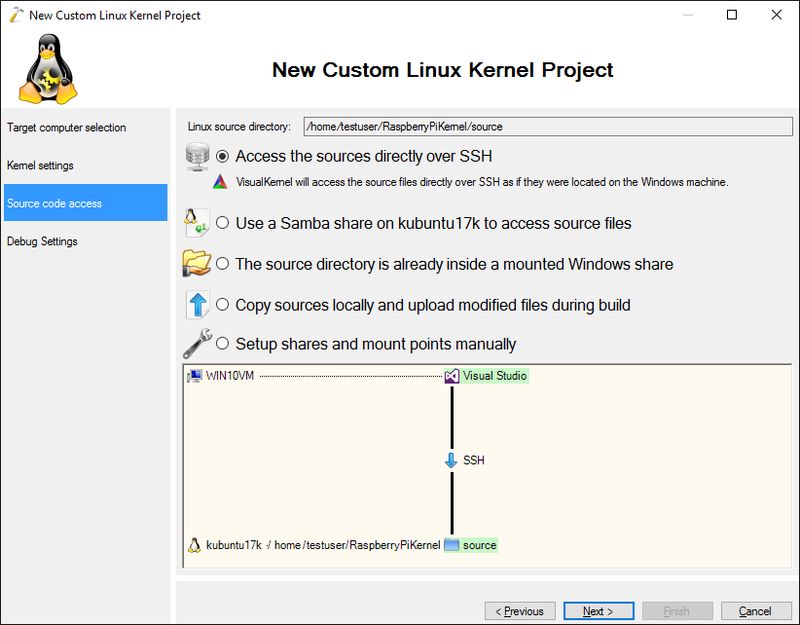 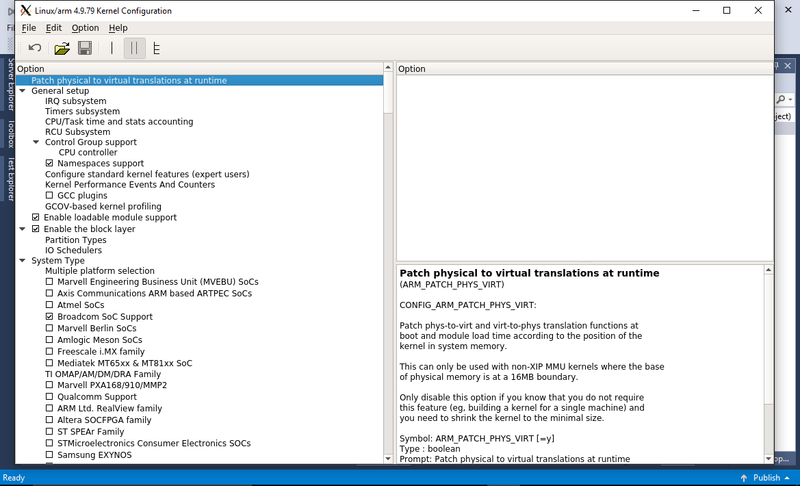 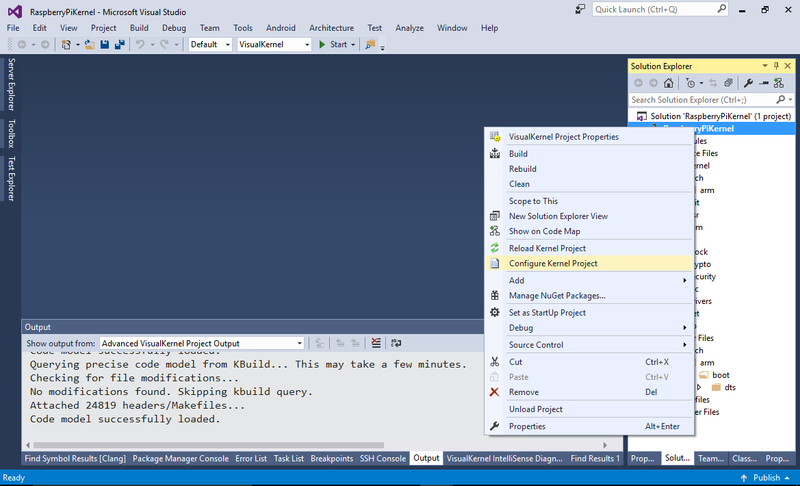 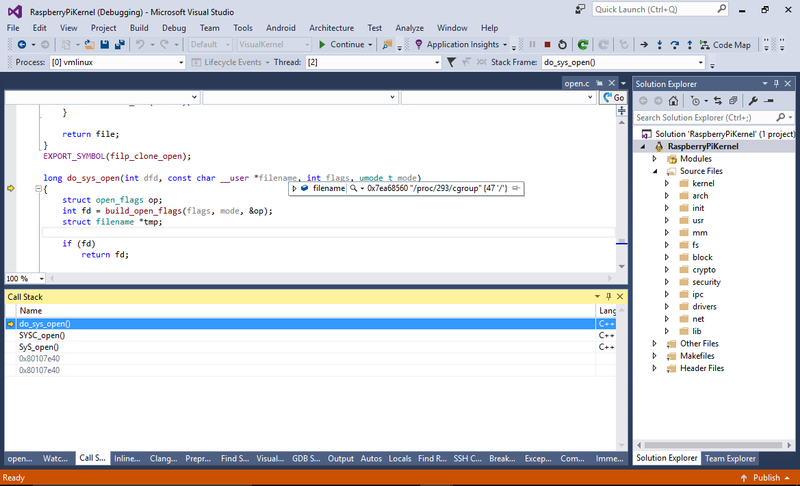 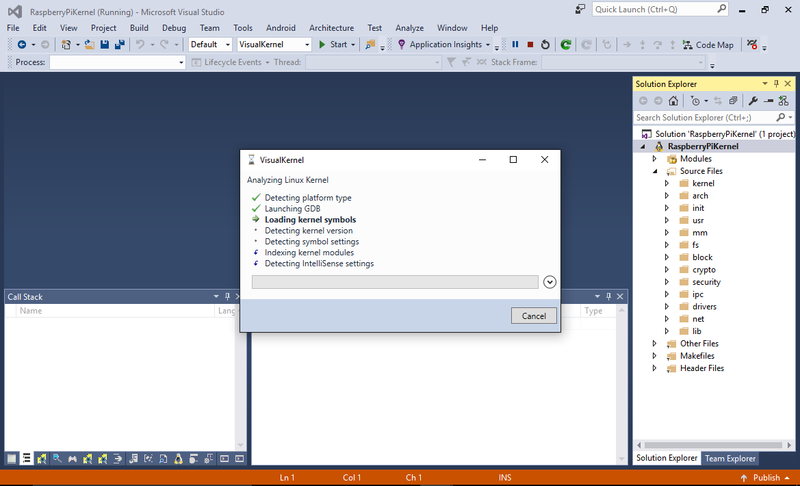 This tutorial shows how to debug a the Linux Kernel on Raspberry PI over JTAG using Visual Studio. 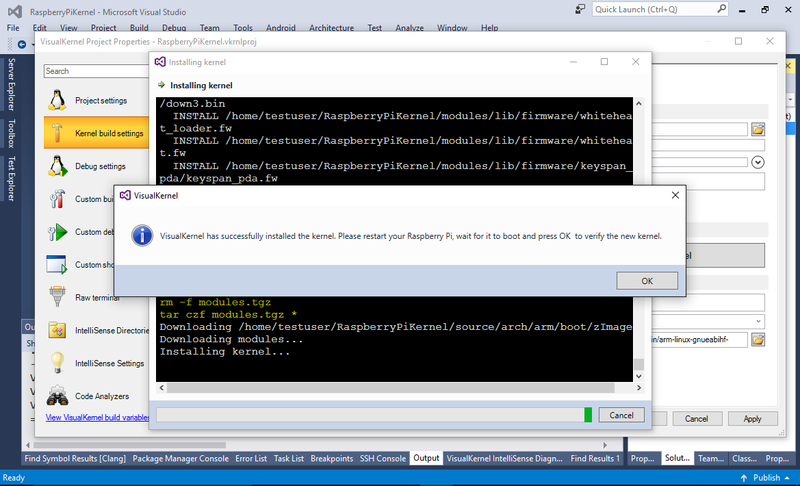 Before you begin, follow the basic Raspberry PI Kernel Module tutorial to ensure that your debugging setup works. 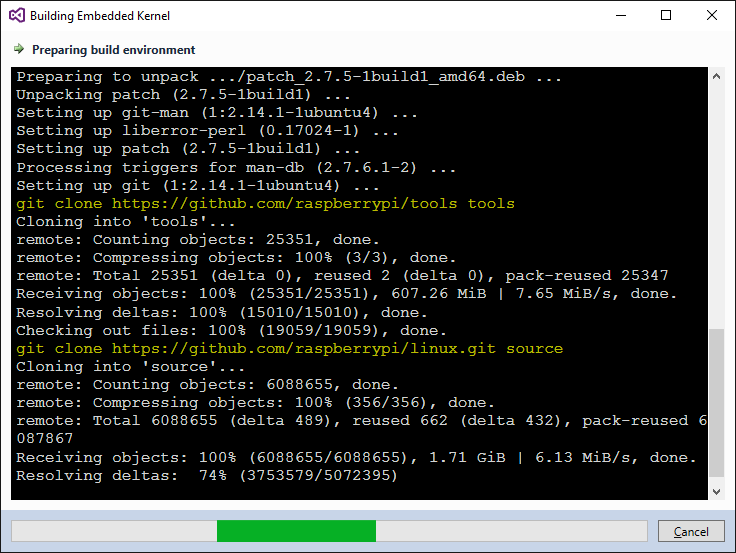 The breakpoint will soon hit: If it doesn’t get triggered, try reading any file on your Raspberry Pi using the ‘cat’ command.